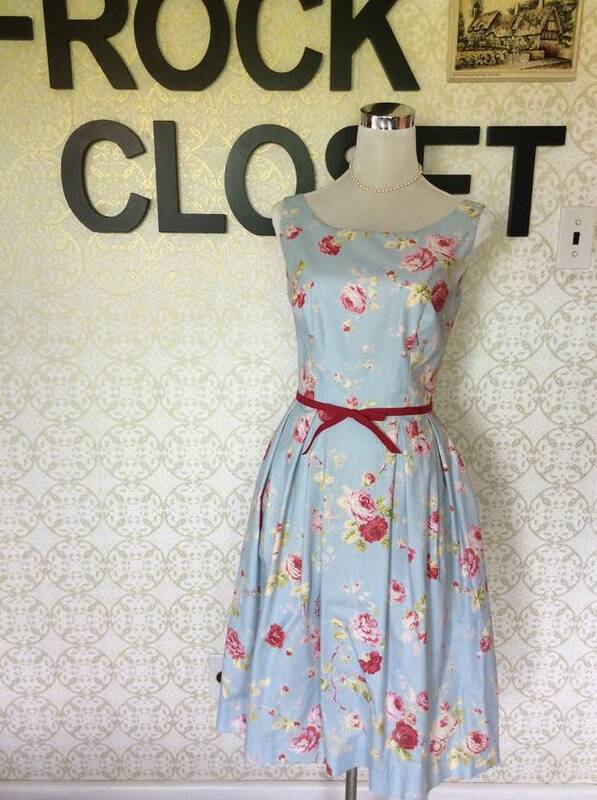 Take a step back in time with this beautiful Vintage inspired dress with a contemporary feel. Handmade by myself inspired by a 1950s pattern. A beautiful rounded neckline, a low scooped back. A dart fitted bodice. 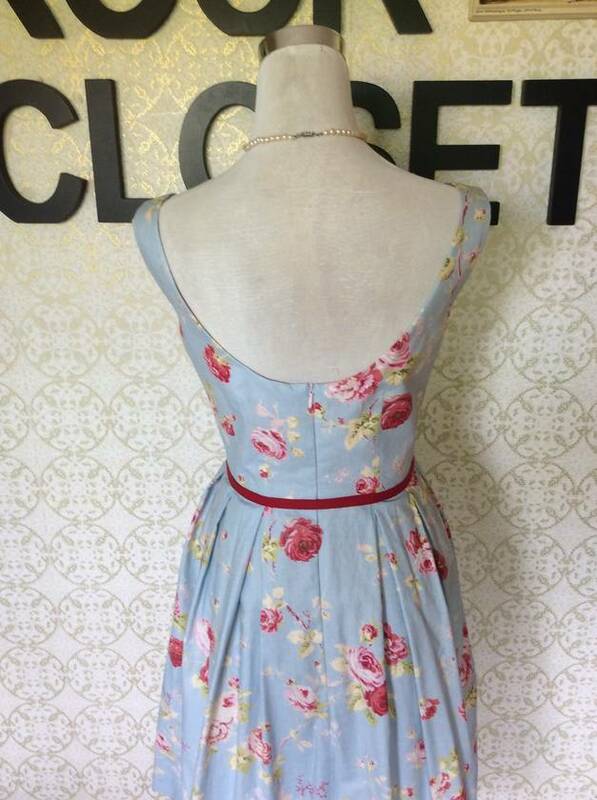 Hidden back zipper so you can easily step into this dress without messing up you hair or getting make up on you dress. Softly pleated knee length skirt. Lined bodice. Ribbon waist tie. 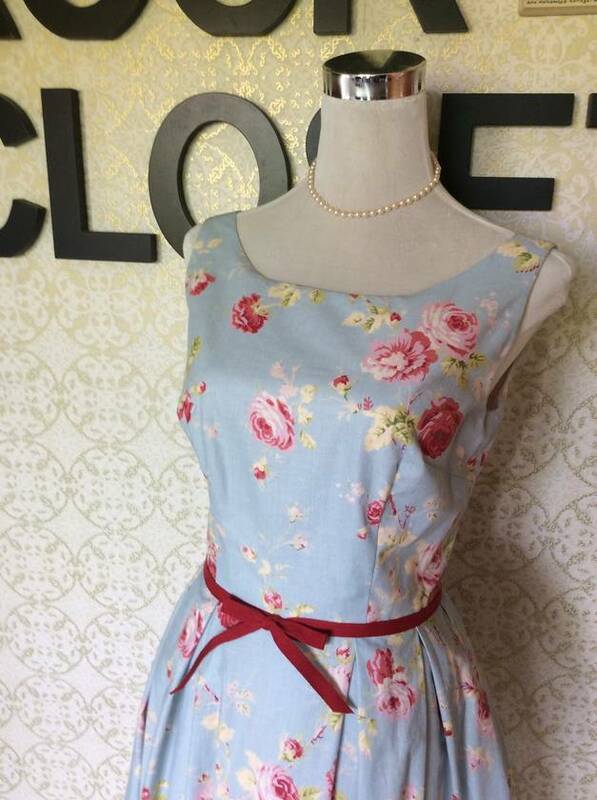 The fun but feminine dress..... perfect addition to your summer wardrobe, or a garden tea party, bridal shower, garden wedding, or special picnic. 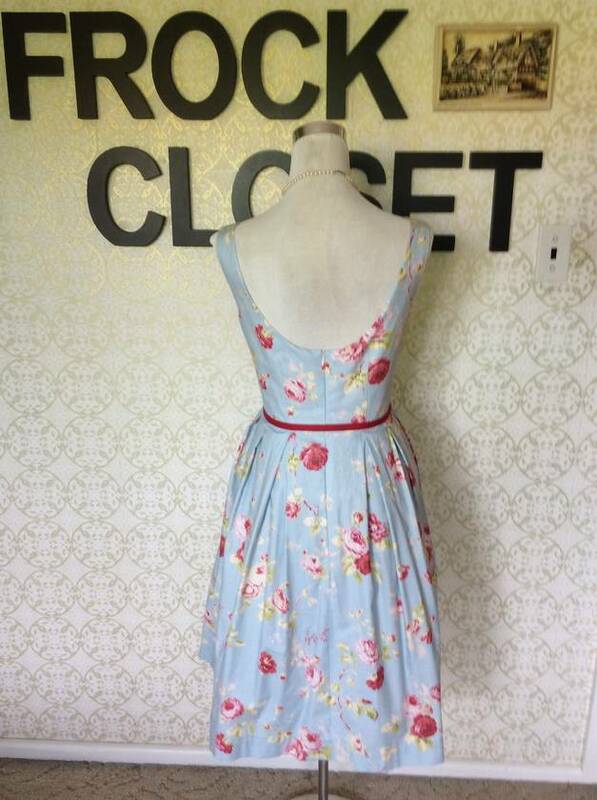 This dress is one of a collection of dresses I make to order. All seams finished (overlooked/surged). Facings to neckline. IF YOU WOULD LIKE THIS DRESS CUSTOM MADE TO YOUR SPECIFIC MEASUREMENTS AND FABRIC REQUESTS, THERE IS AN EXTRA COST OF $75-00. Please note, postage includes packing the garment in tissue paper. Postage is Via courier without signature.